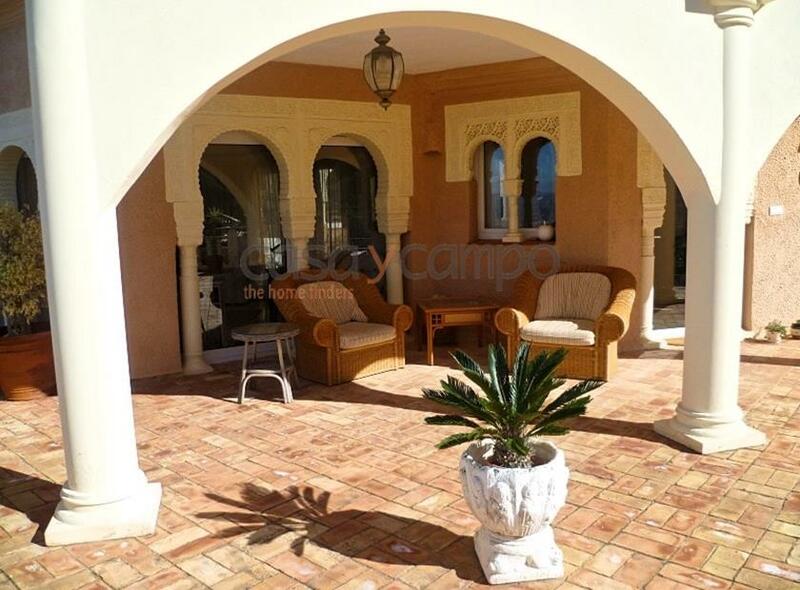 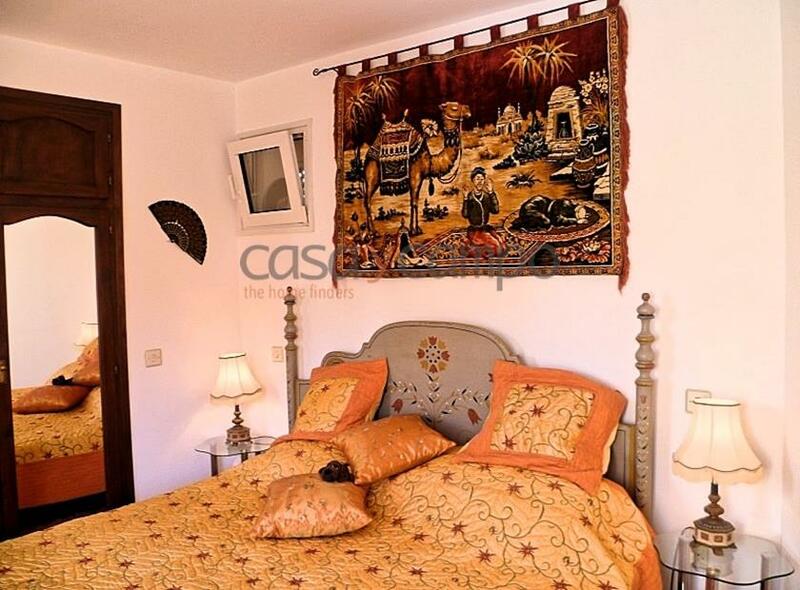 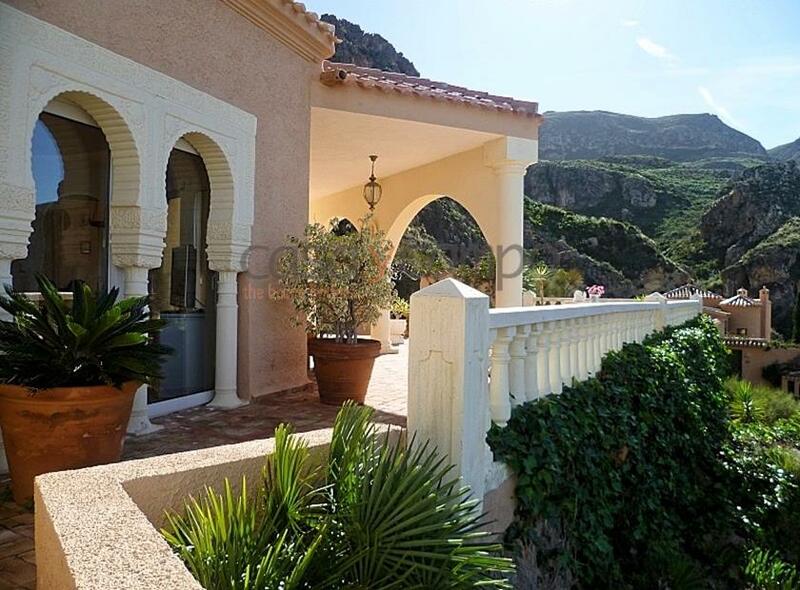 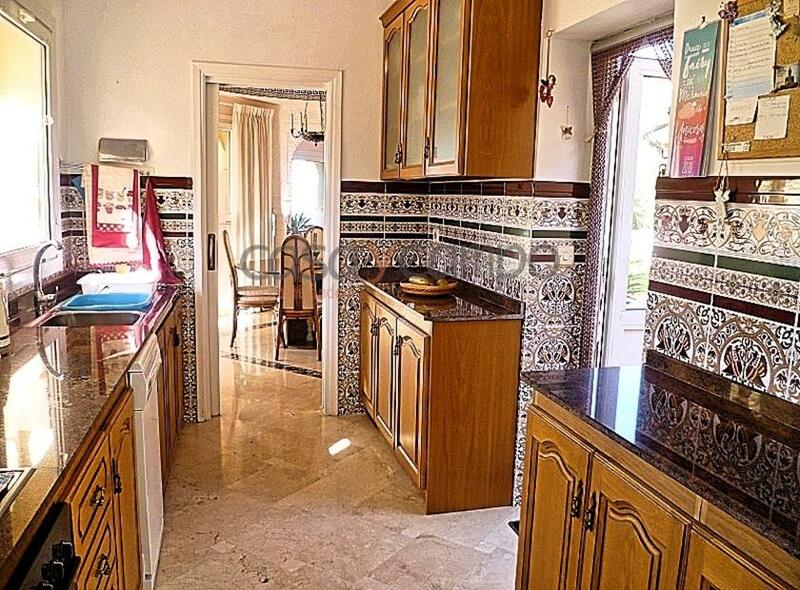 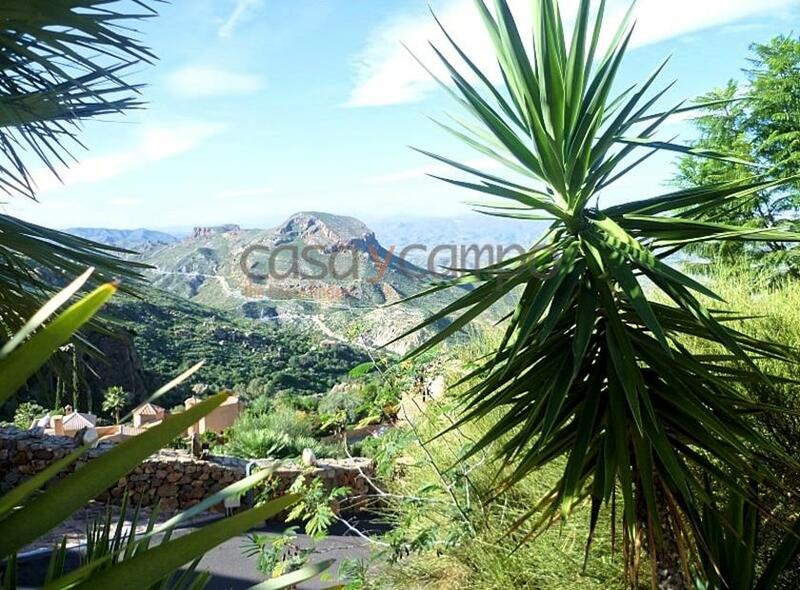 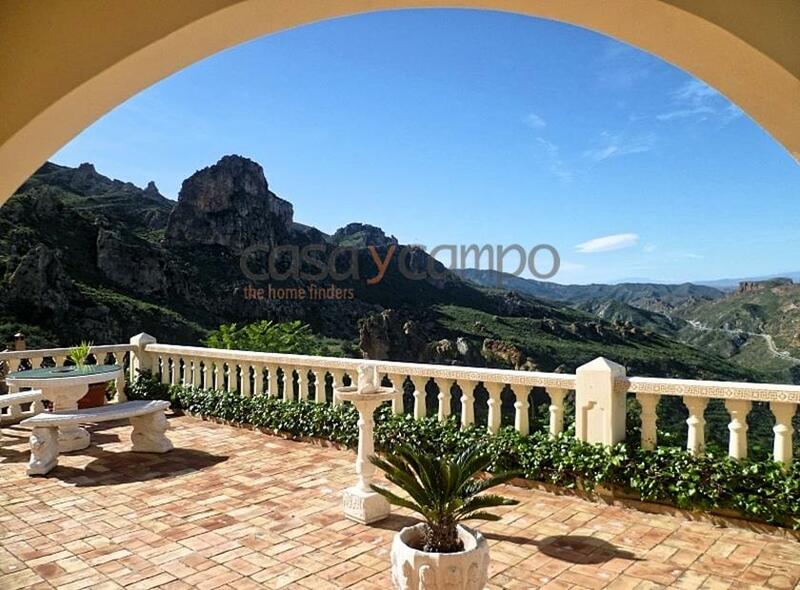 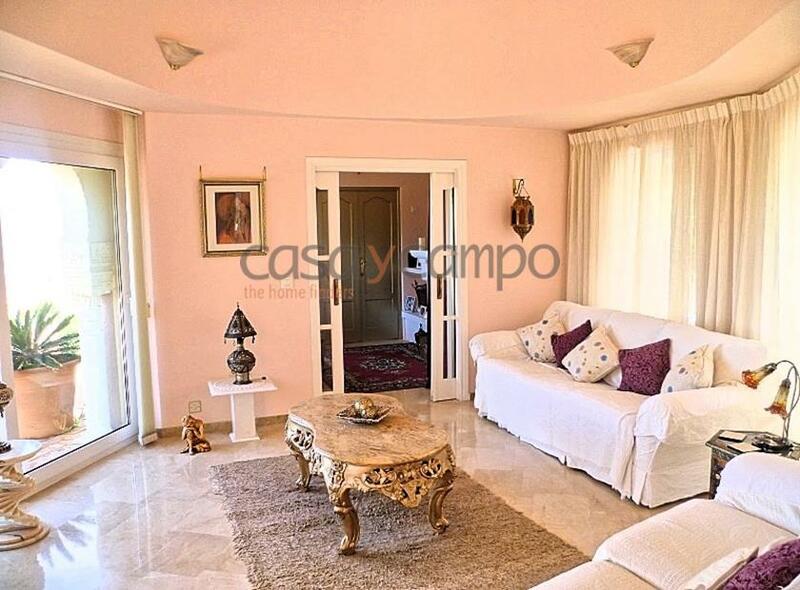 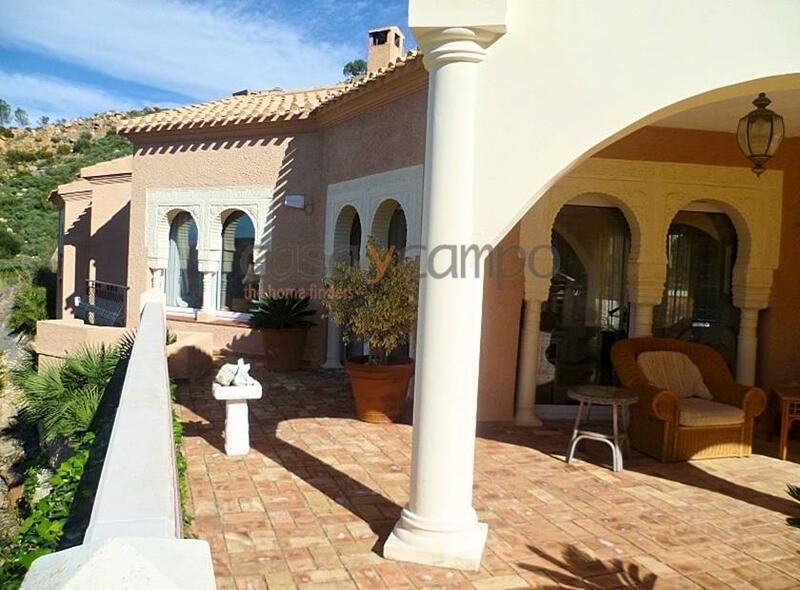 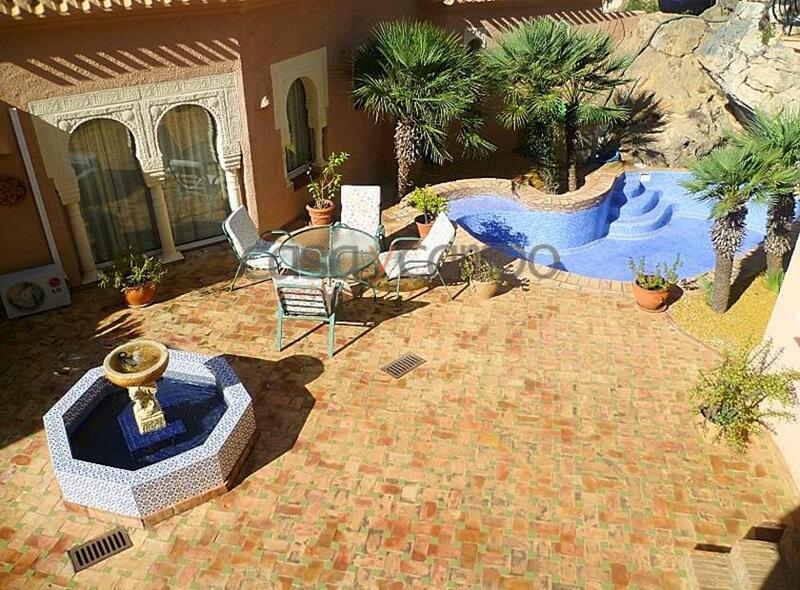 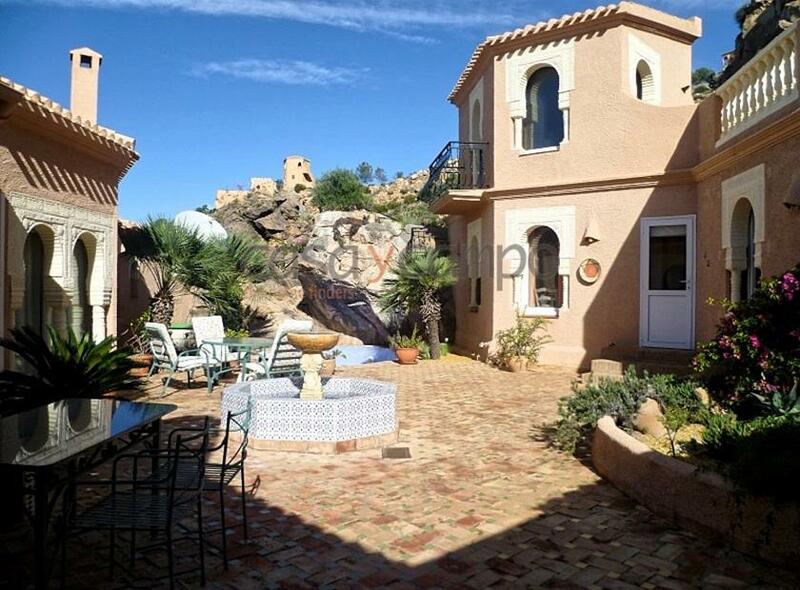 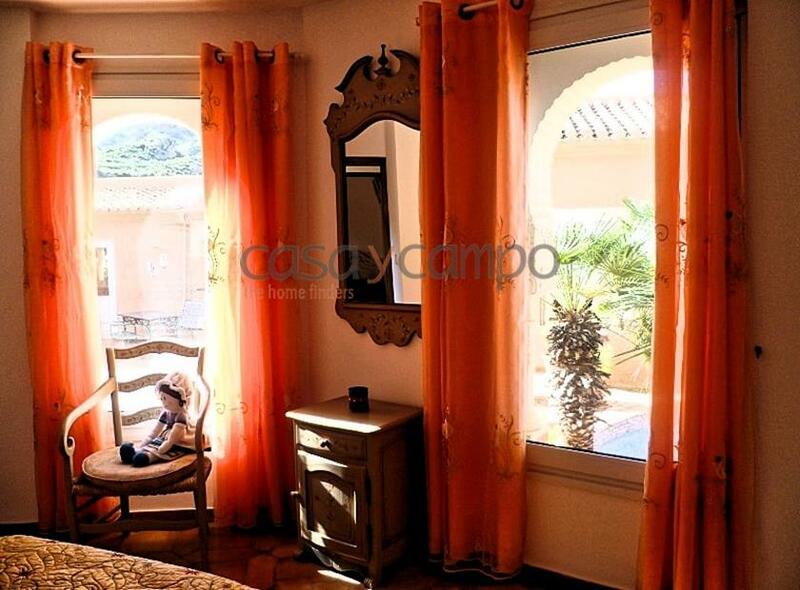 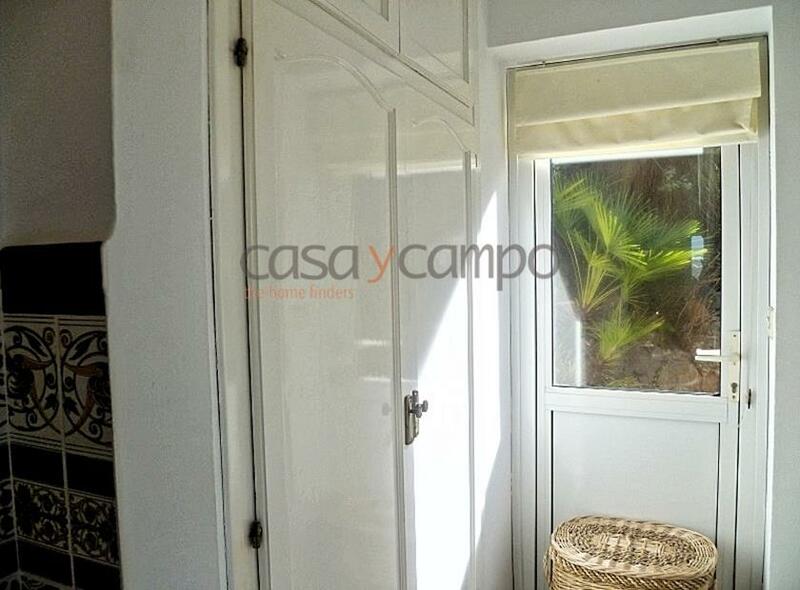 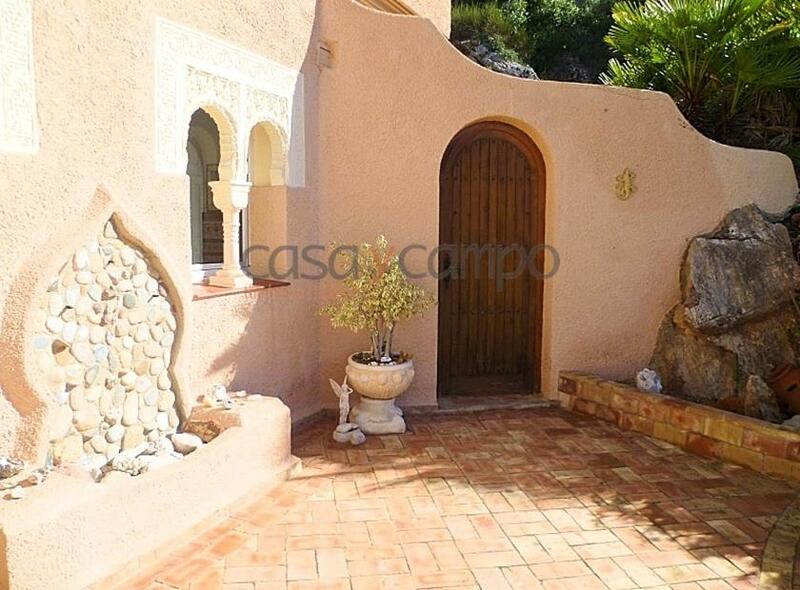 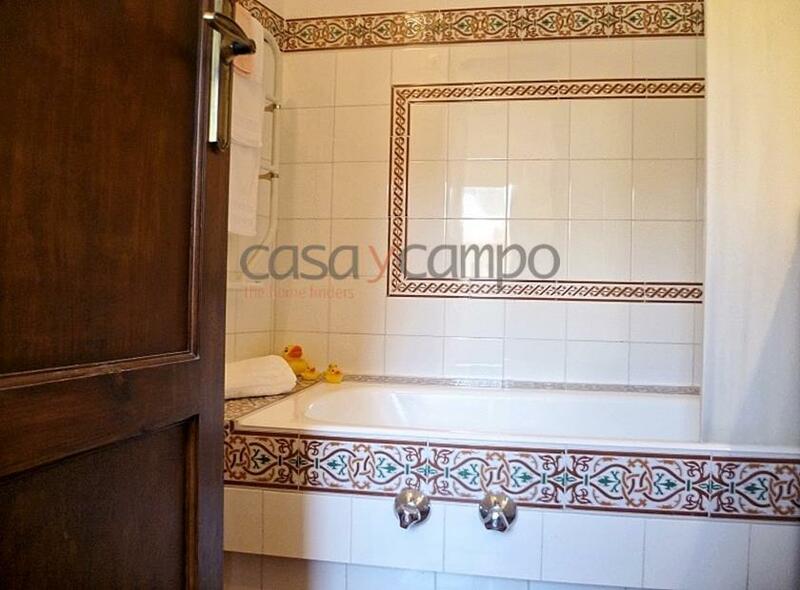 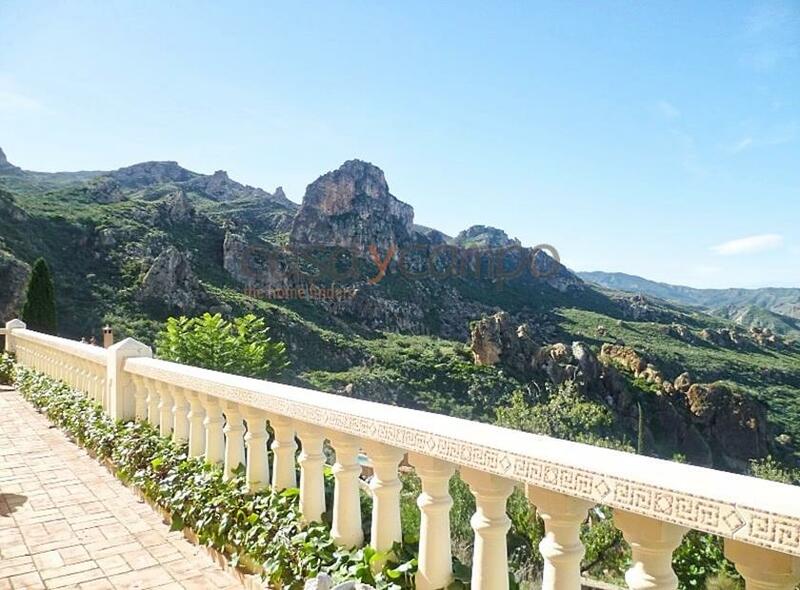 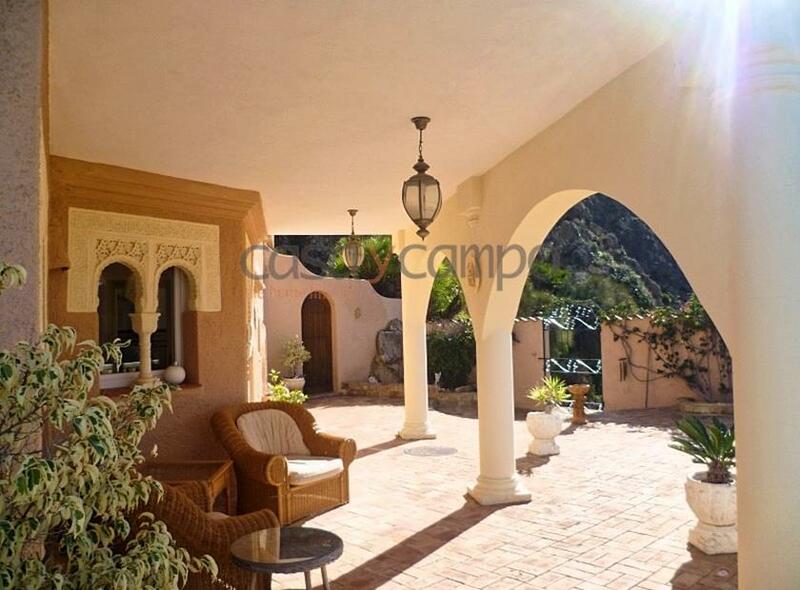 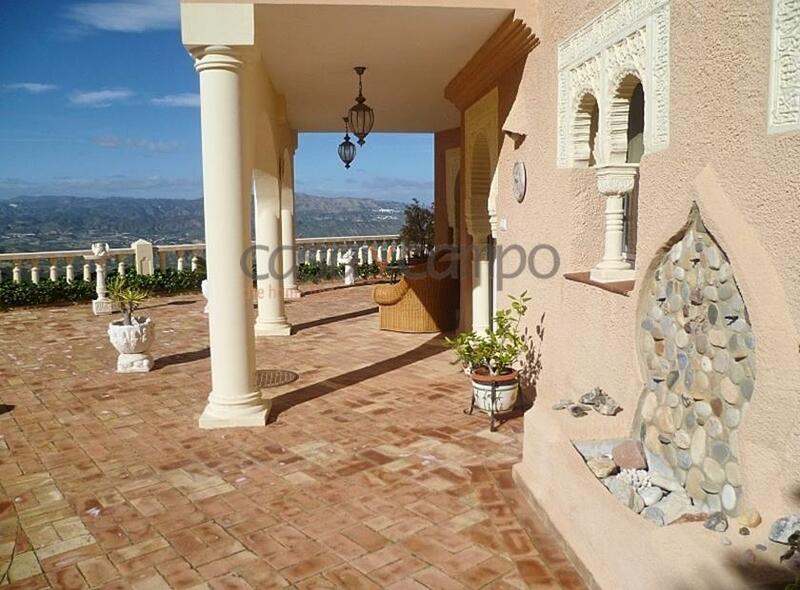 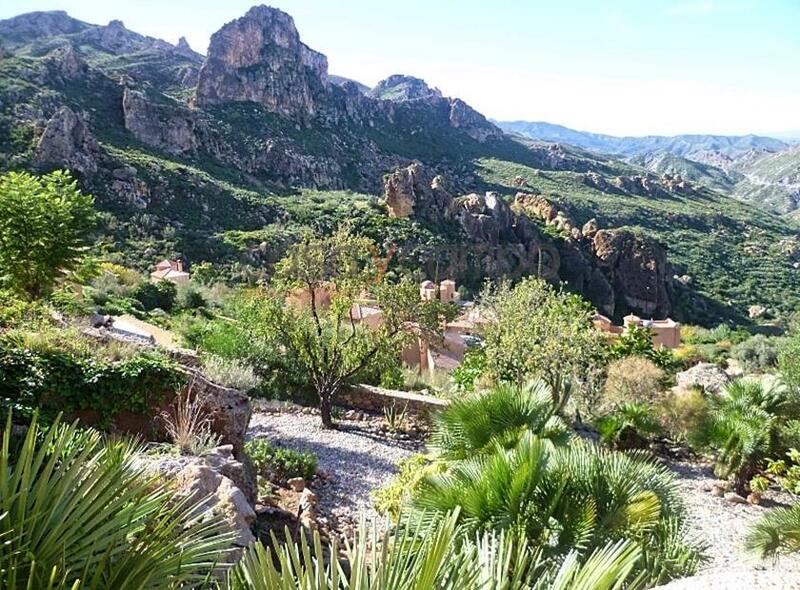 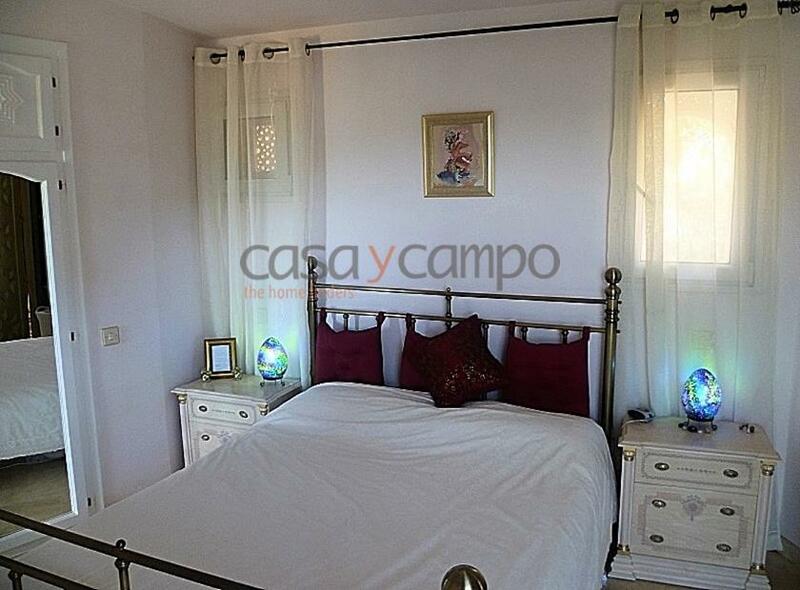 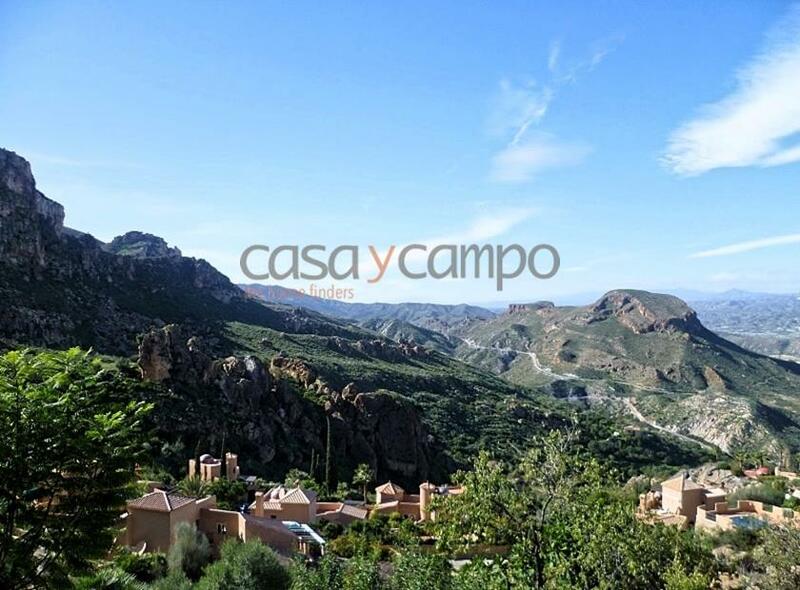 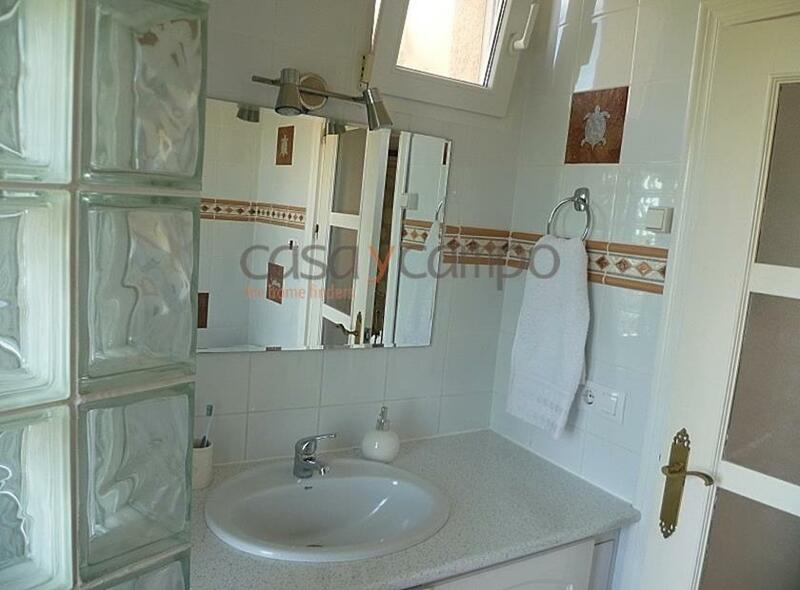 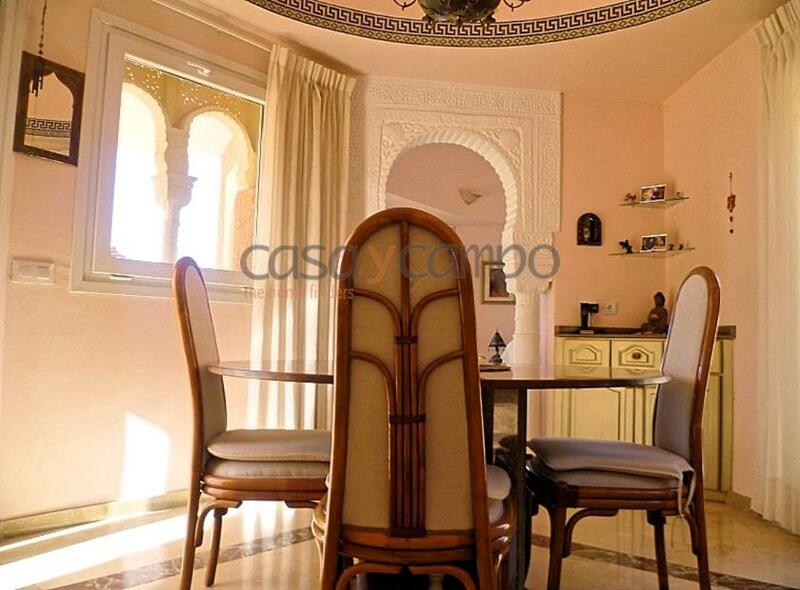 A stylish and impeccably well maintained 3 DB/2 bathroom detached villa situated in an elevated position at the edge of the Moorish village of Sierra Cabrera. 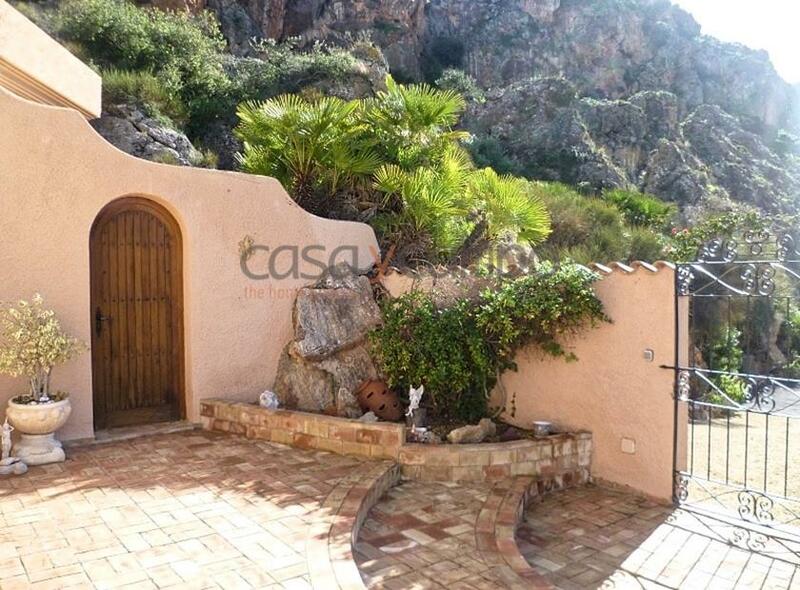 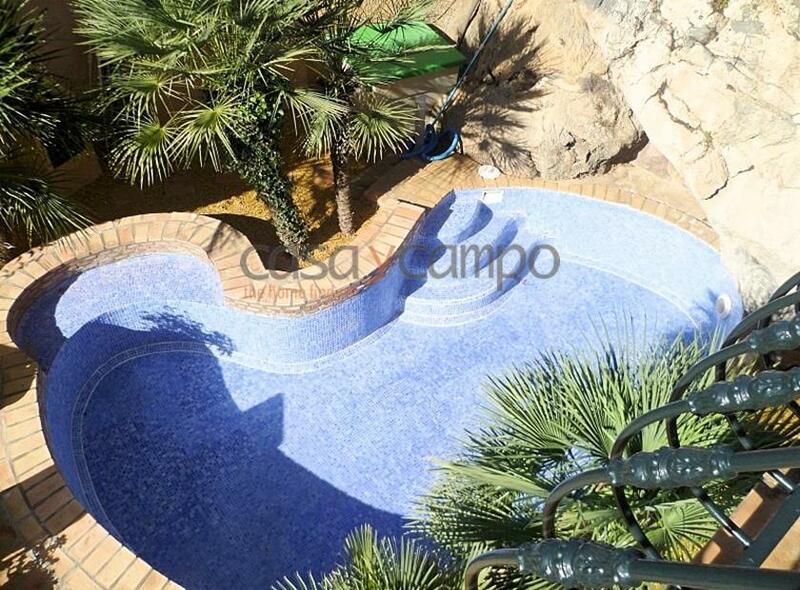 Reduced already by €50,000, selling for €299,950 no offers. 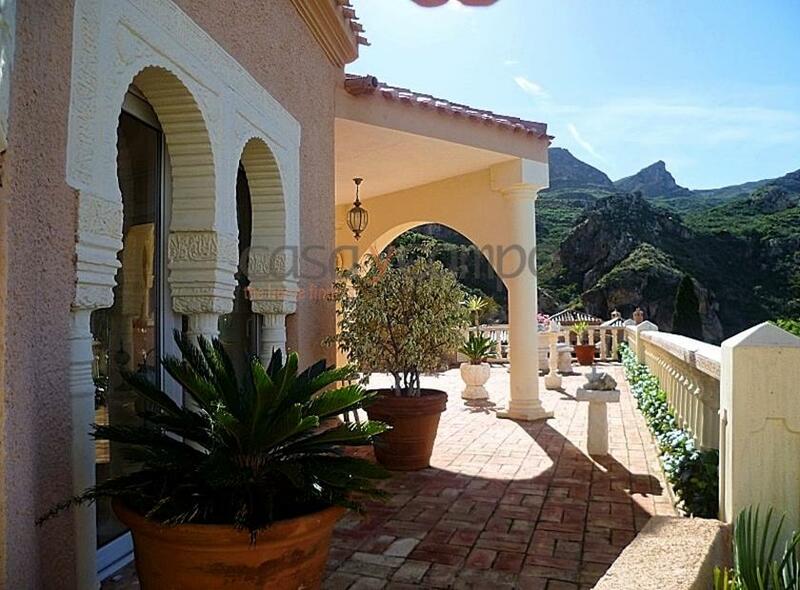 With the main house consisting of 1 DB master-suite with bathroom, a fully fitted kitchen offering views to the mountains and terrace area which fronts this beautiful villa. 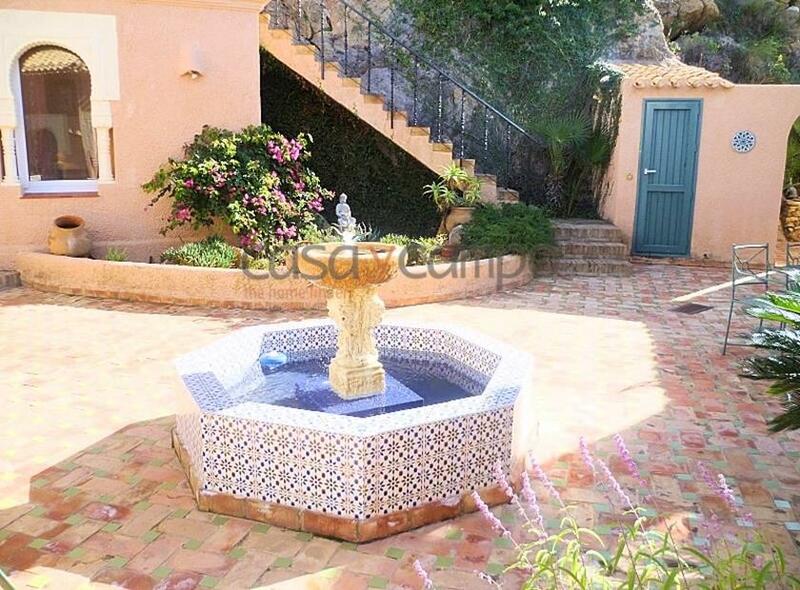 A utility area and separate terrace for laundry. 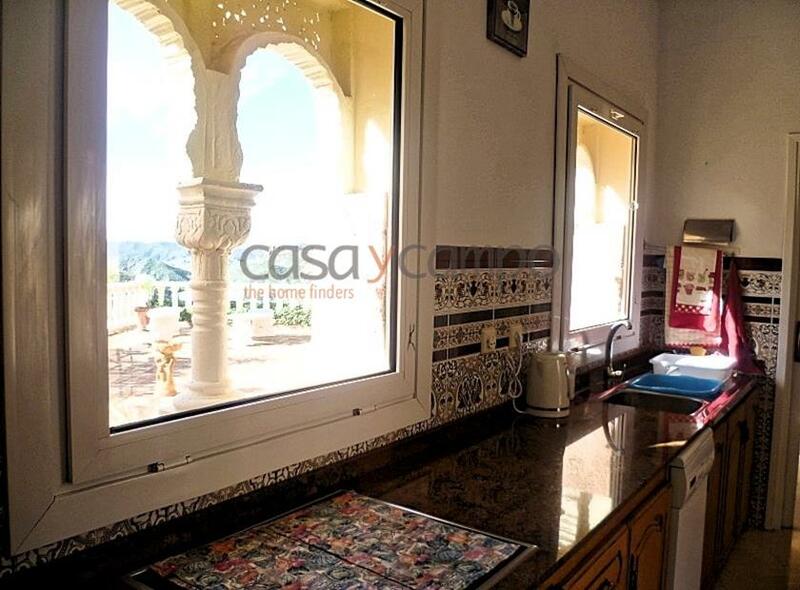 From the kitchen via the Moorish arch to the dining area with glass on both sides to take full advantage of those spectacular views. 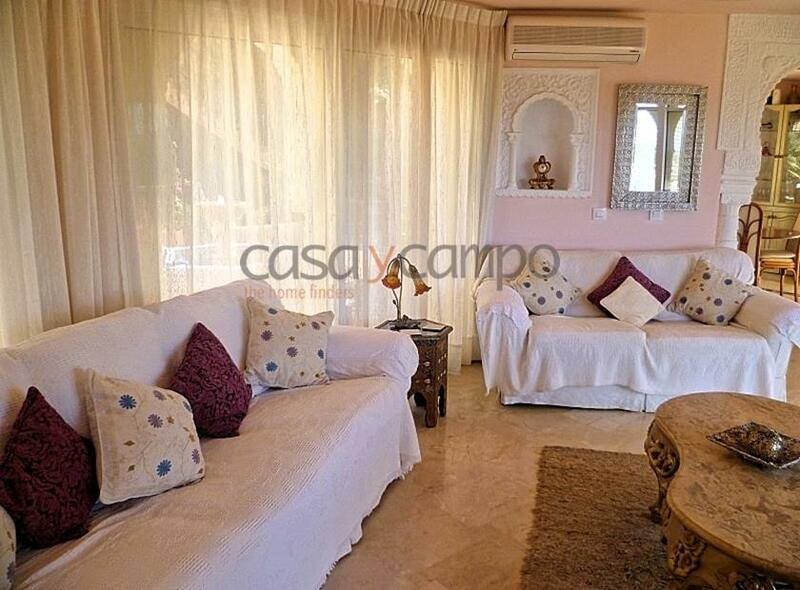 The room flows into the large sitting room again with patio doors on both sides to enjoy further the panoramic views. 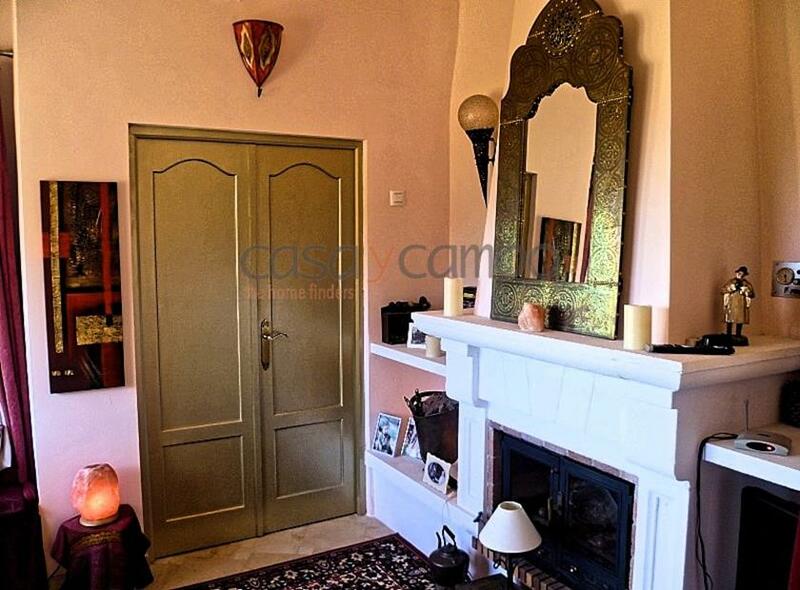 A snug with a wood burning fire, just beyond this large living room, is just perfect for winter evenings, tv is connected for UK freeview. 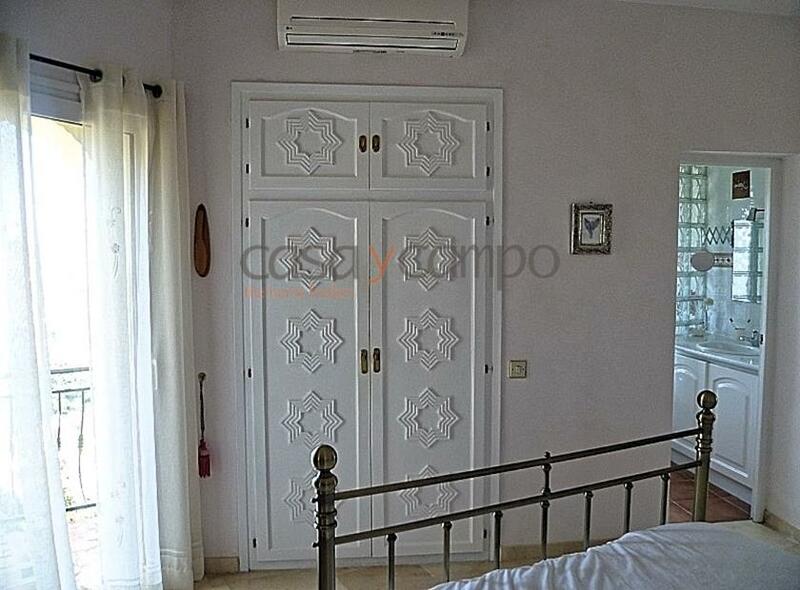 Opulent golden double doors lead into the master bedroom with A/C, fitted wardrobes and an ensuite bathroom with shower. 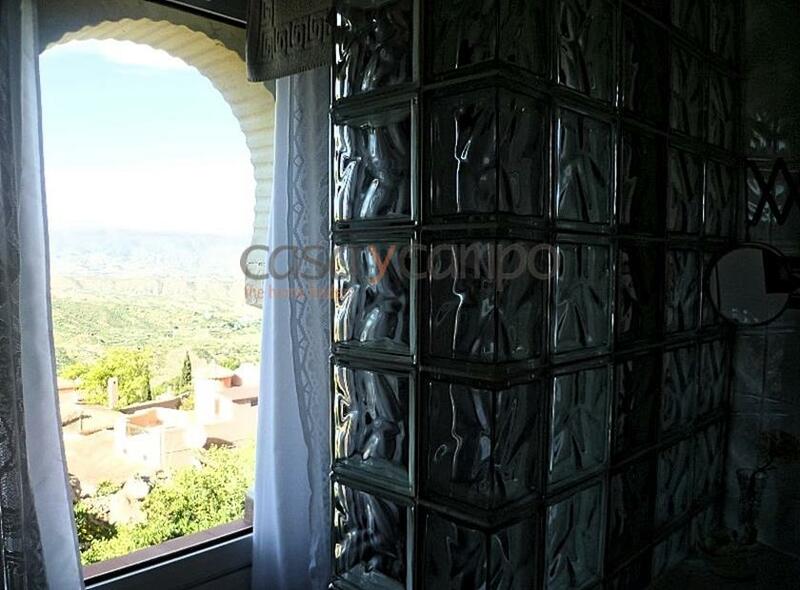 Superb views also from this room. 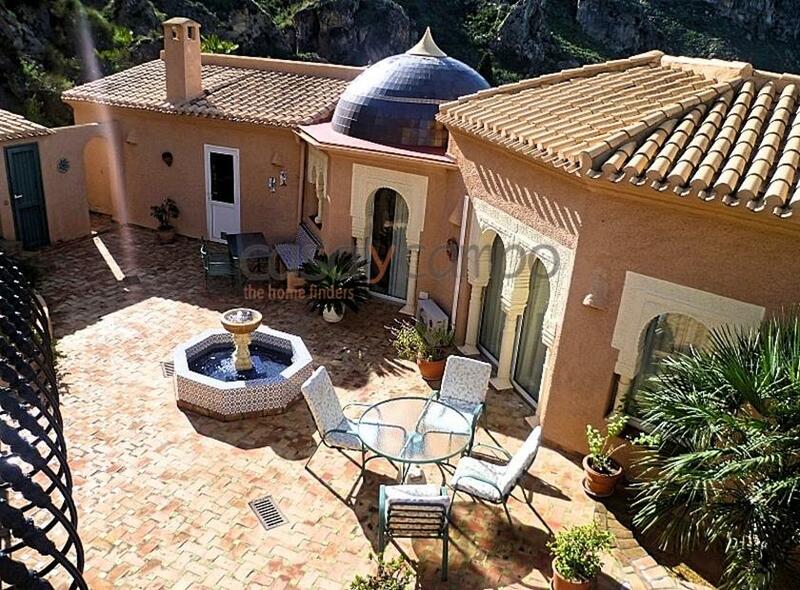 Leave the main villa and enter the large private terrace area which which has the guest annex just across from the villa. 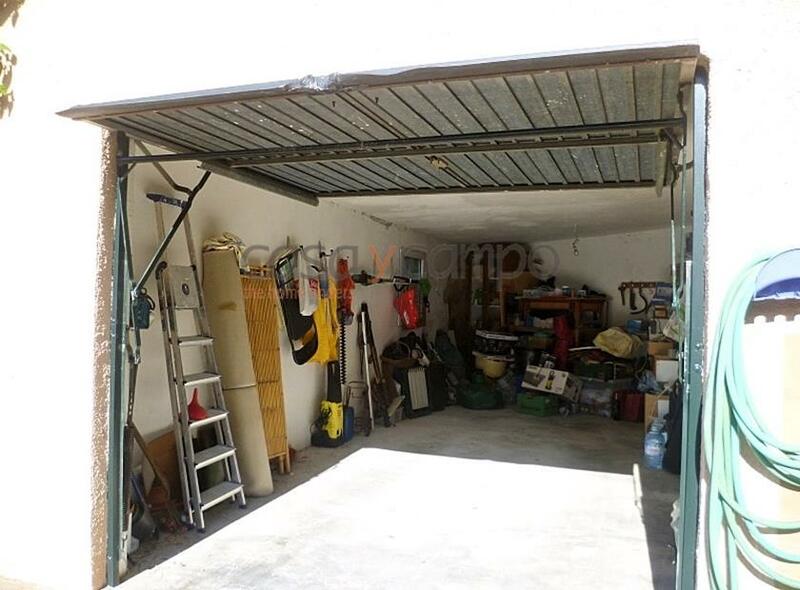 The annex is distributed over two levels. 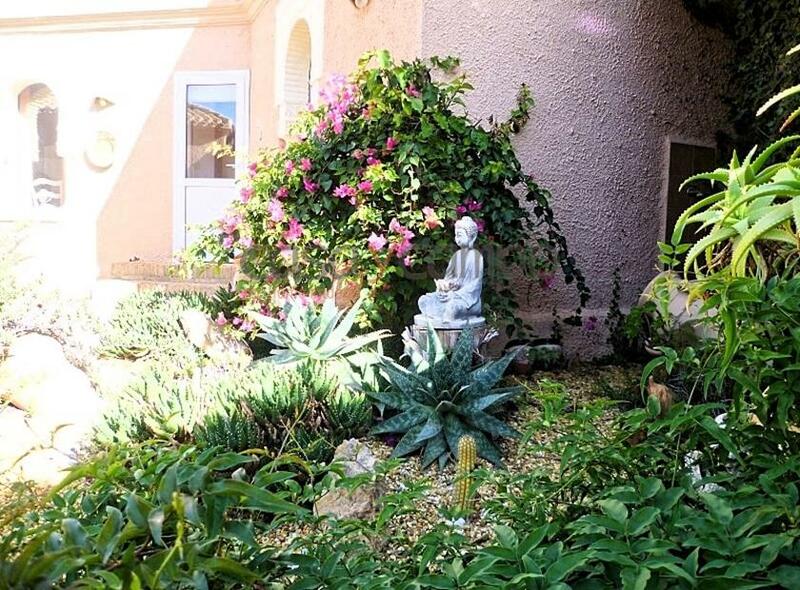 Take the stairs up to a 4th bedroom or studio, with its own terrace area, patio doors open to a Juliet balcony, perfectly suited as an artist studio or meditation room. 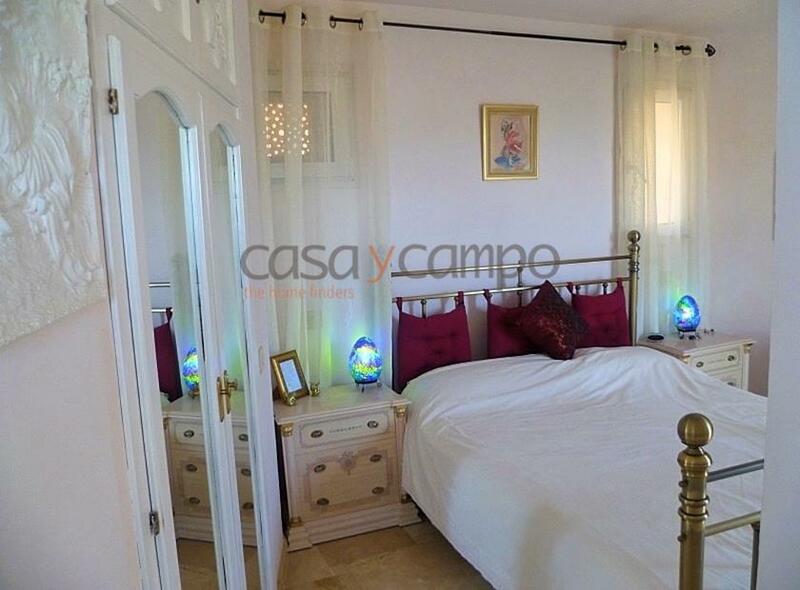 Below on the ground floor are two DB bedrooms with a shared bathroom in between. 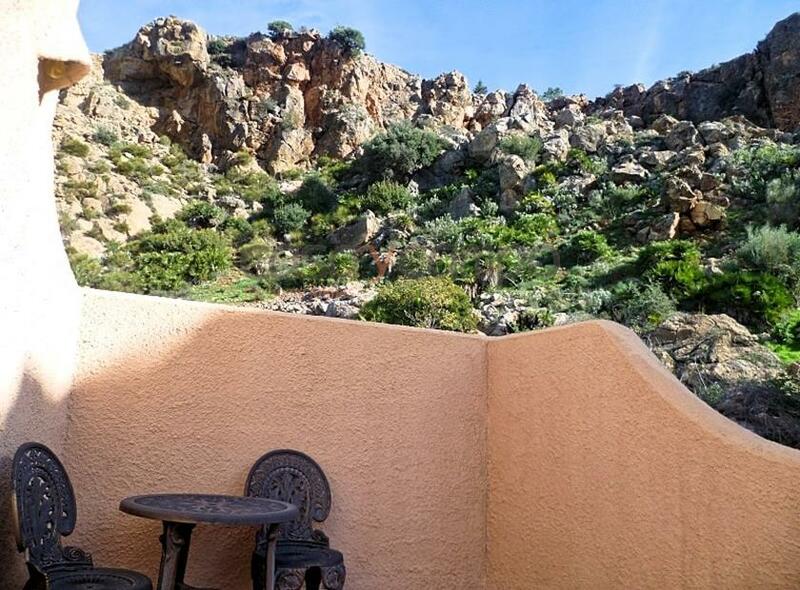 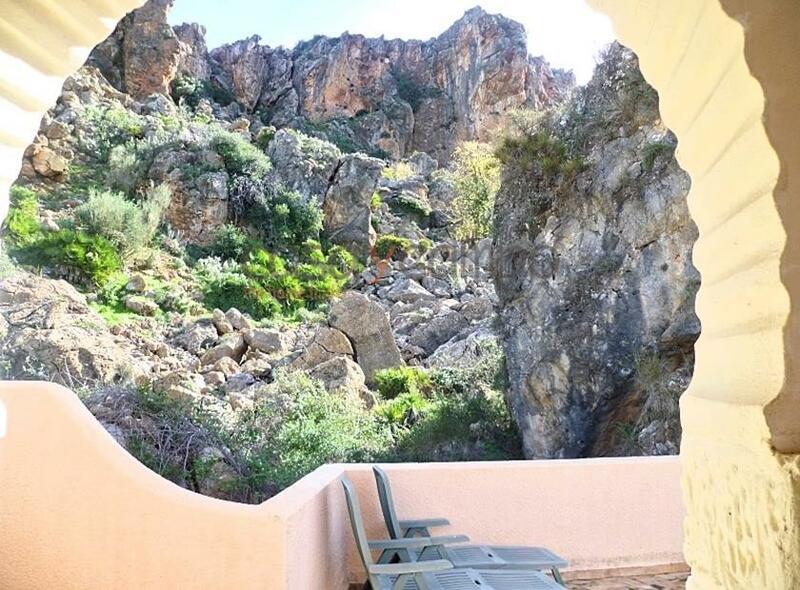 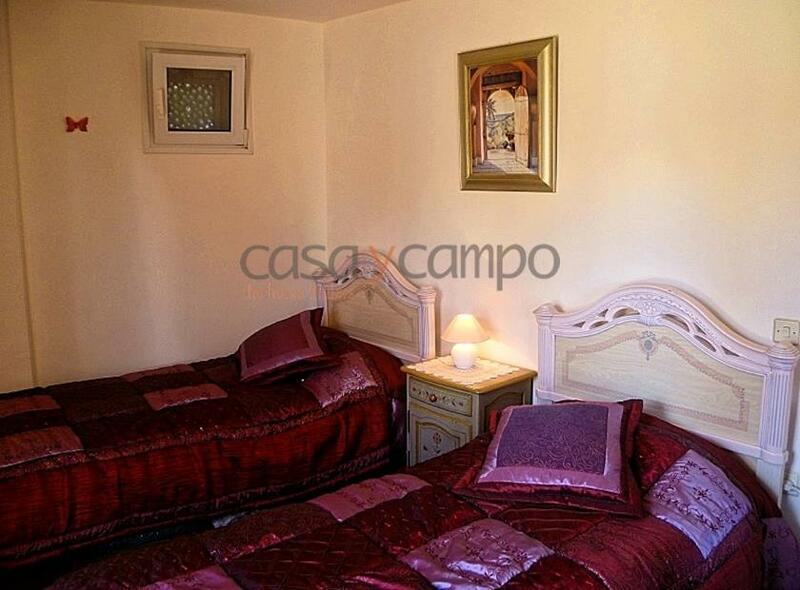 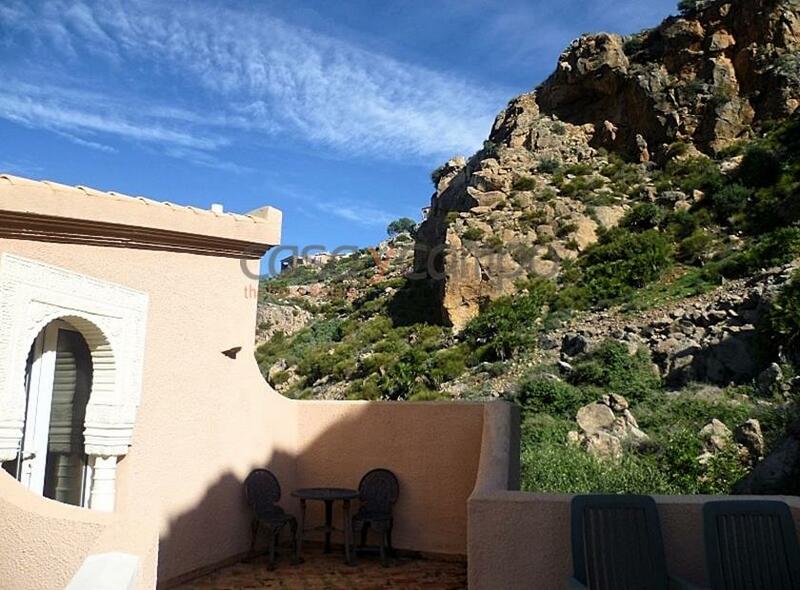 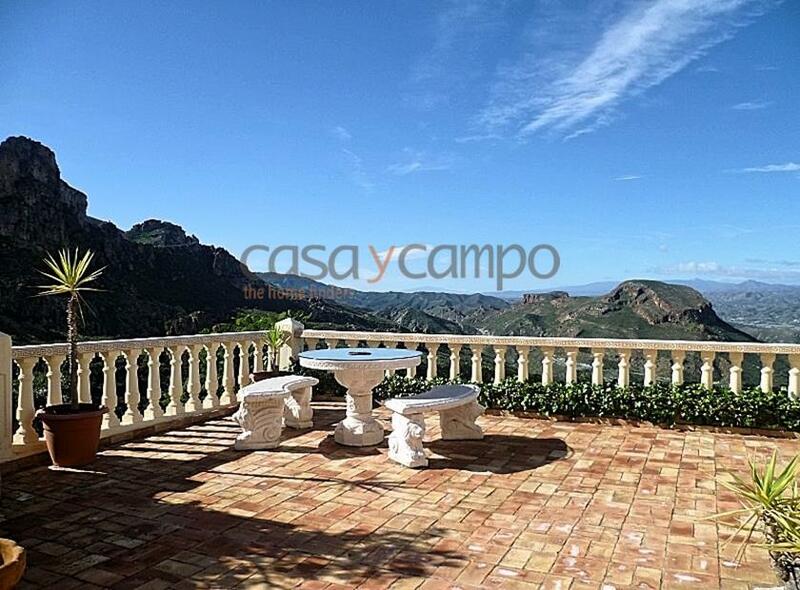 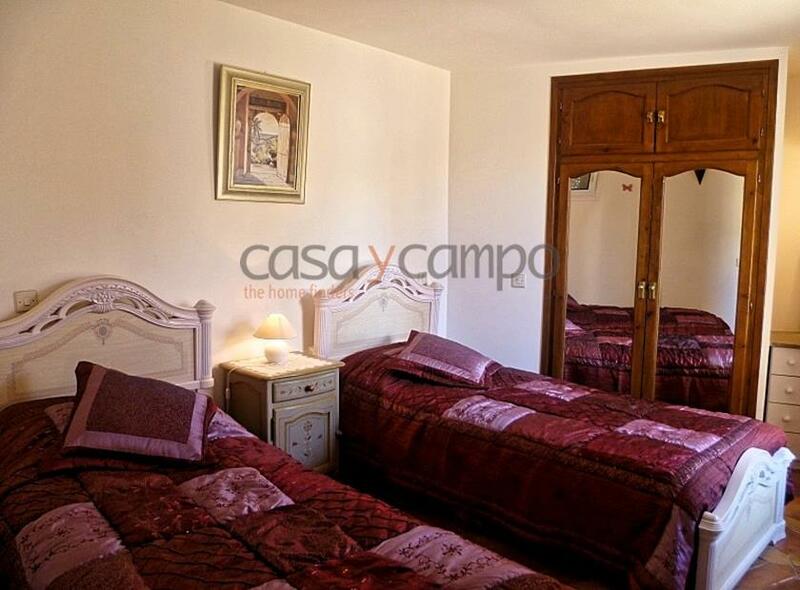 Ideal for guests and with stunning views over to the mountains and the terrace area below. 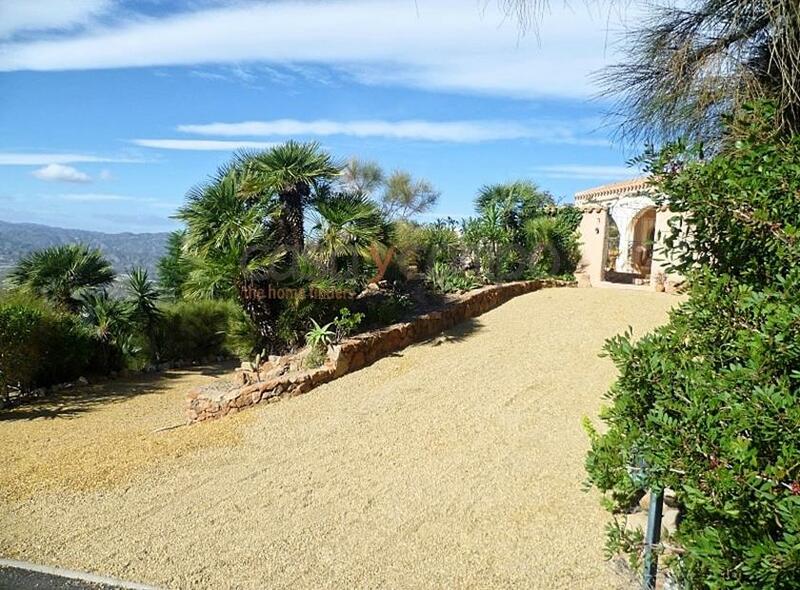 The villa has a dual access driveway with a detached garage on the lower level, the upper driveway leads into the property itself and opens to a large terrace area with a covered pergola to the front of the villa and the most breathtaking views of the mountains below and beyond, stretching as far as the snow capped mountains of the Sierra Nevada mountain range. 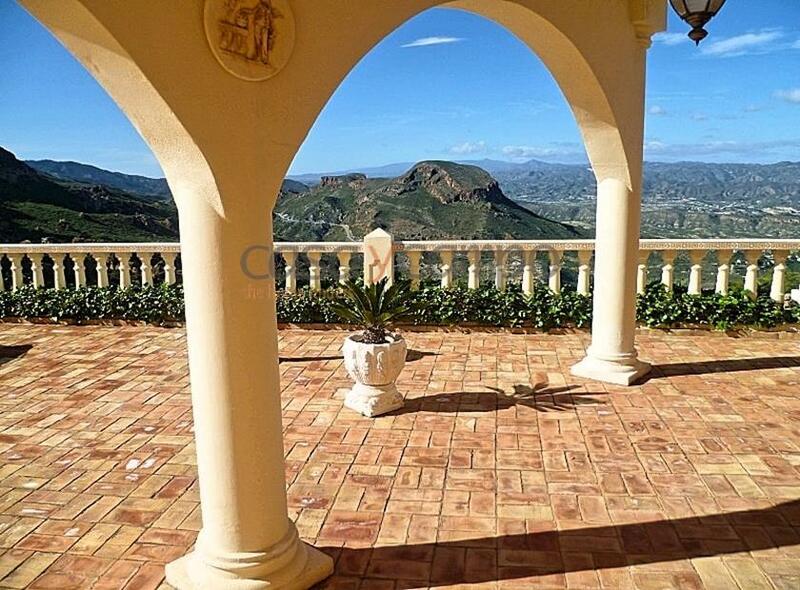 A very special property which is priced to sell. 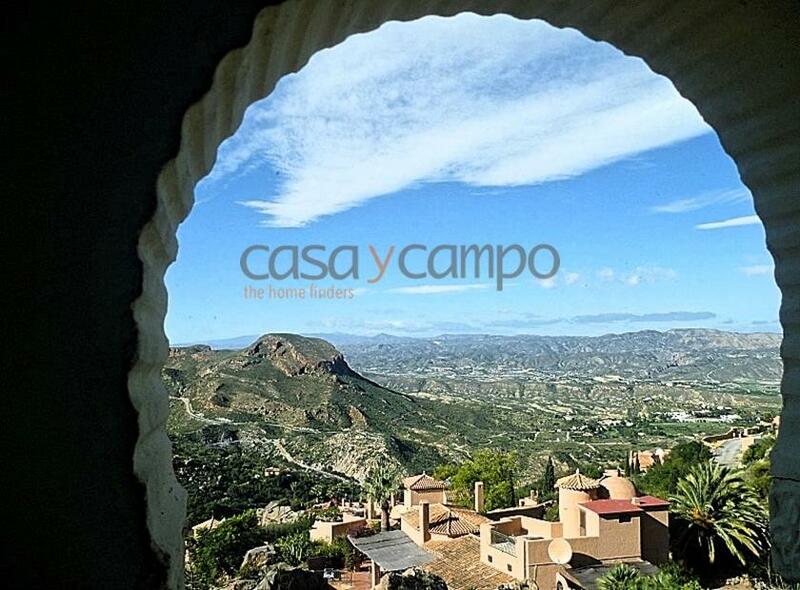 There are several restaurants close by, Fatima’s Riadh, Los Arcos and also three restaurants in Cortijo Grande.